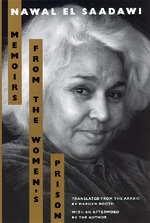 Often likened to Rigoberta Menchu and Nadine Gordimer, Nawal El Saadawi is one of the world's leading feminist authors. Director of Health and Education in Cairo, she was summarily dismissed from her post in 1972 for her political writing and activities. In 1981 she was imprisoned by Anwar Sadat for alleged "crimes against the State" and was not released until after his assassination. Memoirs from the Women's Prison offers both firsthand witness to women's resistance to state violence and fascinating insights into the formation of women's community. Saadawi describes how political prisoners, both secular intellectuals and Islamic revivalists, forged alliances to demand better conditions and to maintain their sanity in the confines of their cramped cell. Saadawi's haunting prose makes Memoirs an important work of twentieth-century literature. Recognized as a classic of prison writing, it touches all who are concerned with political oppression, intellectual freedom, and personal dignity. Nawal El Saadawi is an Egyptian feminist, socialist, medical doctor, novelist, and author of a classic work on women in Islam, The Hidden Face of Eve (1982). She presently teaches at Duke University. Marilyn Booth is an independent scholar affiliated with the University of Illinois and a freelance translator. Her recent translations include Stories by Egyptian Women: My Grandmother's Cactus.